Nikki Schultz presents the prizes for the Huntfield Derby to Abbie Dvorak and Dr. April Speyer's Lovin Honor at the WQHA Show. Photo by Ruehle Photographix. Madison, WI - October 10, 2015 – The Wisconsin Quarter Horse Association hosted the Huntfield Derby during their state show Labor Day Weekend at the Allient Energy Center in Madison, WI. The derby is a version of the United States Hunter Jumper Association (USHJA) National Hunter Derby for the Quarter Horse circuit. Trainers Lainie DeBoer and David Warner founded the Huntfield Derby Series in 2012, with the intention of offering a variety of hunter level classes similar to those offered in USHJA, while keeping competition in an American Quarter Horse Association (AQHA) breed setting. The first Derby took place at Kim and Clay Farrell’s Fox Lea Farm in Venice, FL. In 2013, the Farrell’s took over the derby series and formed The National Quarter Horse League (NQHL) and has since expanded to nine derby events being held across the country in 2015. The series ends with The Huntfield Derby Finals, which will take place at Fox Lea Farm on January 7, 2016. The sentiments of improving horsemanship and building new riders for the future, is a topic of conversation at all levels of the horse industry. George H. Morris, former Chef d’ Equip of the U.S. Show jumping team and legendary author, judge and clinician, travels the world giving this message in every clinic he teaches. Programs such as the Emerging Athletes Program, the Gladstone Program and Developing Young Horse Young Rider Programs, help raise awareness of horsemanship and improving it. 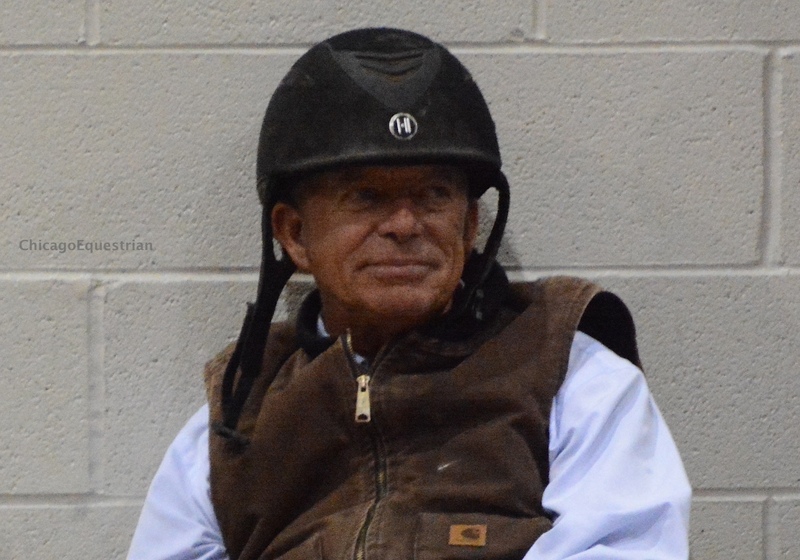 USEF R judge Steve Wall, judged the Huntfield Derby Finals in 2012 at the World Quarter Horse Show and raved about how good the horses jumped over the derby jumps. The course was a beautiful derby track with all the bells and whistles. “People loved the party and the pomp and circumstance that went with it, which was part of what made it special and that’s what we wanted,” said trainer David Conners. “We rented out the Rolex stadium for a show and Calumet Farm opened up to us to have a party. It was an amazing setting and exhibitors were appreciative of the efforts. People like those boutique horse shows with nice prizes and special events. I think these classes will encourage riders to compete at USHJA shows as well to get the experience and the horse quality they need to be competitive,” added DeBoer. The classes encourage the buying of quality AQHA horses as trainers see the need to up their game. Supporting the breed is the reason for other incentive programs for quarter horses such as the Pre-Green Incentive Bonus Award and Kentucky Bred Quarter Horse Incentives as examples. Along with the Derby Series, the NQHL hosts Youth and Amateur Medal classes. The classes were developed to get away from the standard equitation classes being held on the circuit, which didn’t require much skill to ride in. DeBoer helped start the Horsemanship class for USHJA Zone 6 and wanted to see something more like that for the quarter horses. “We started the medal program because we wanted to see better riders come out of the program,” said Warner. “We’re worried about the future and the level of kids coming out of the industry. Who’s going to replace us? We weren’t seeing the skill set needed to build good riders,” said DeBoer. Wisconsin trainer Abbie Dvorak of Breakaway Farm in Madison, WI, was the winner of the NQHL Open Huntfield Derby in Wisconsin aboard Dr. April Speyer’s Lovin Honor. 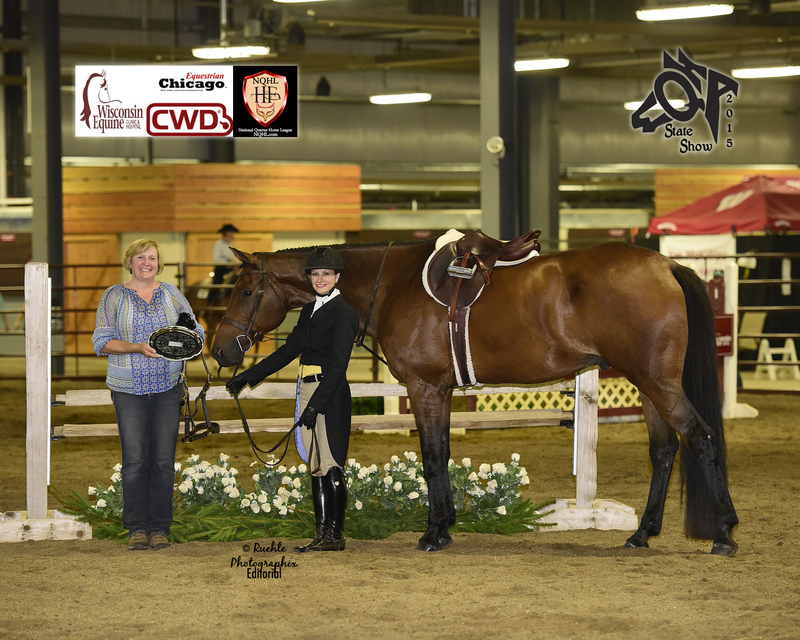 "I had a lot of fun showing in the Huntfield Derby and Low Derby at the Wisconsin State Quarter Horse Show. Nikki Schultz did a great job putting it on," said Dvorak. "I hope it grows and becomes a success like the USHJA derbies. The AQHA shows have had many big money classes for hunter under saddle, western pleasure, and other disciplines, but there were never any that really drew attention to the jumping classes. This is similar to the hunter/jumper shows where the prize money was in the grand prixs and that attracted all of the spectators. The USHJA derbies have changed that and I hope the Huntfield derbies have the same effect on the AQHA circuit." Wisconsin Equine Clinic and Chicago Equestrian graciously sponsored the class. Both sponsors support derbies in the area as Wisconsin Equine Clinic is the title sponsor for an educational derby weekend in West Bend, WI. Chicago Equestrian also sponsors a derby series with fence heights 3’ and under in the Illinois and Wisconsin area. 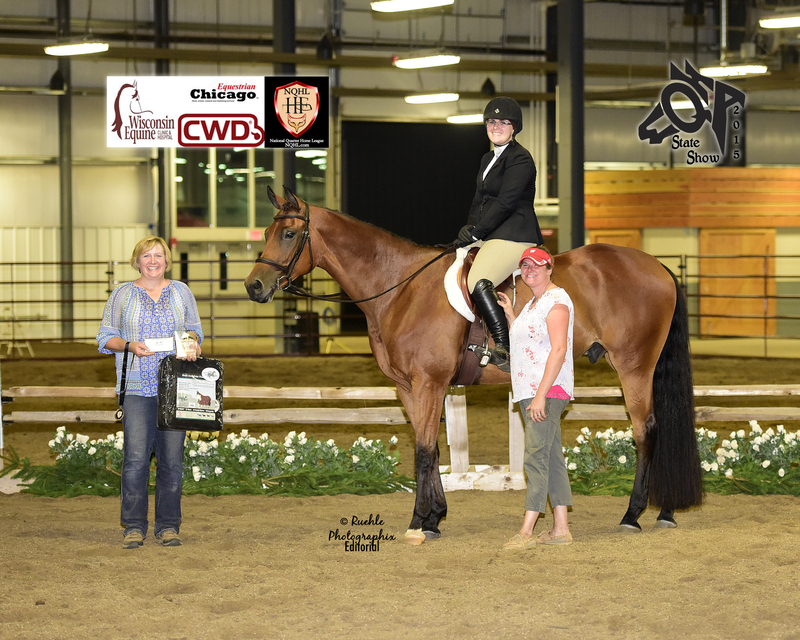 Seoul Creek Farm, host of the Wisconsin Equine Derby Weekend and other Wisconsin Shows, sponsored the Low Derby with CWD. The Low Derby Champion was Thumb Reason with Sara Goldstein. The Equine Chronicle sponsored The Overall and Youth Medals, with Emily Knoll showing Iron Icon, taking the Champion honors in the Youth section. The Amateur Medal winner was Stephanie Trombley on Dark N Diversified. The NQHL Medal Finals were held in Frankfort, KY on October 3 - 4, 2015. For more information on these special class offerings, visit the NQHL website www.nqhl.com. For more information on the Huntfield Derby Finals in January and the USEF Winter Circuit at Fox Lea Farm, visit their website at www.Foxleafarm.com. Photos may be used only in relation to this release.